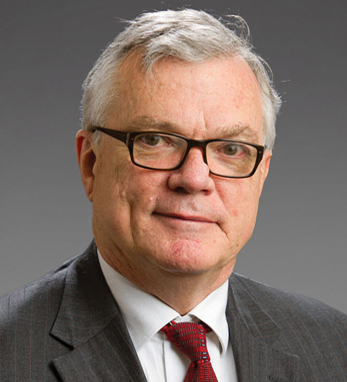 Eamonn Quigley is David M. Underwood Chair of Medicine in Digestive Disorders, chief of the Division of Gastroenterology and Hepatology, and a professor of medicine at Weill Cornell Medical College at Houston Methodist Hospital in Houston. He is also a principal investigator at the Alimentary Pharmabiotic Centre (APC) in Cork, Ireland. A native of west Cork, Eamonn earned his medical degree from University College Cork before completing his intern year at St Finbarr’s hospital in Cork. In 1986, he joined the faculty at the University of Nebraska Medical Center in Omaha where he ultimately served as chief of Gastroenterology and Hepatology. Returning to Cork in 1998, he served as dean of the Medical School at UCC for seven years and has been a principal investigator at the APC since its inception. His primary research interest is the gastrointestinal system, particularly irritable bowel syndrome, gastrointestinal motility, and the role of the gut microbiota in health and in gastrointestinal and metabolic disorders. Eamonn is married to a UCC classmate, Una (née O’Sullivan) with whom he has four children, Joanna, Killian, Finola, and Aisling, and one grandchild, Nuala Saroja Bishu.